All Aspects Fencing, LLC., is exactly what our name implies. 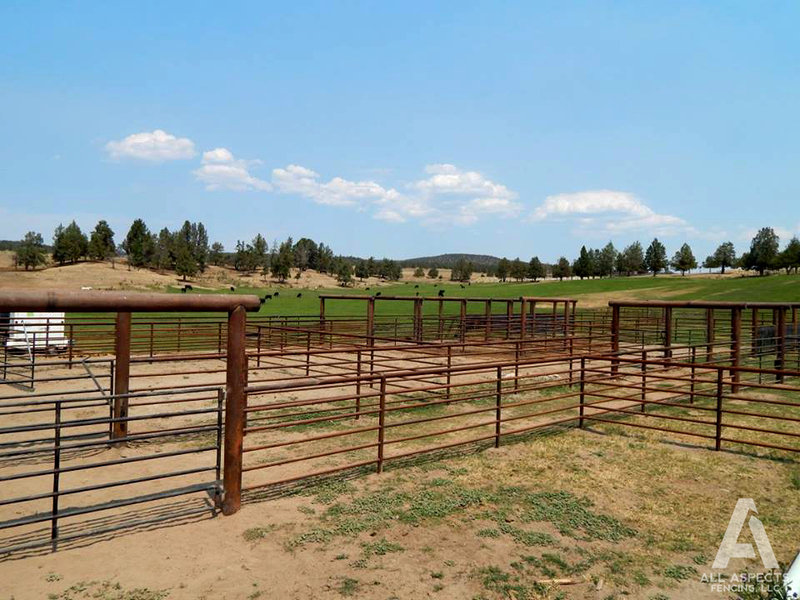 We expertly design and install fencing systems for commercial and agricultural applications, specializing in pipe and cable, as well as decorative metal. Our experienced staff is prepared to discuss the construction process with you. From the high quality materials we use, to our professional, efficient installation, you can rely on All Aspects Fencing, LLC, to provide your residence or business with the perfect containment system for you. Serving Central Oregon Region: Bend, Redmond, Sisters, Alfalfa, Powell Butte, Prineville & Madras.